‘Call diversion warning’ in Settings will direct you to the ‘Call diversion’ menu. By default the warning message function is disabled. 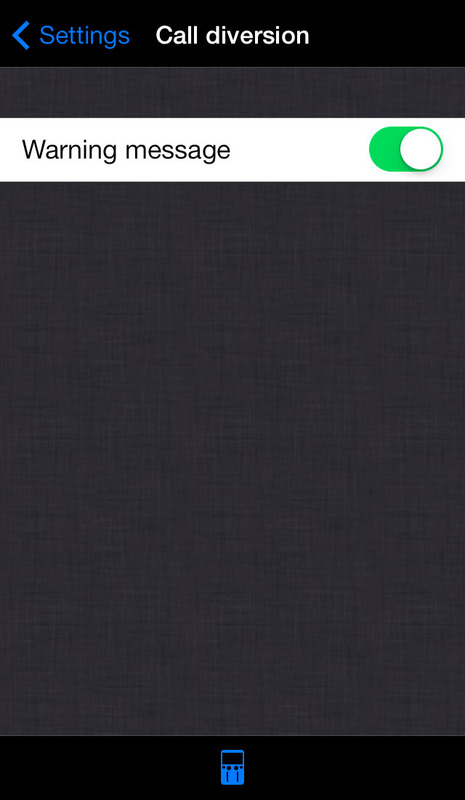 Enabling this function will result in a warning message appearing on the main screen of LUCI LIVE Lite every time you activate the Antenna button in order to broadcast live. NOTE: The warning message can be annoying but on the other hand you will not like it if your phone rings while you are on the air live. 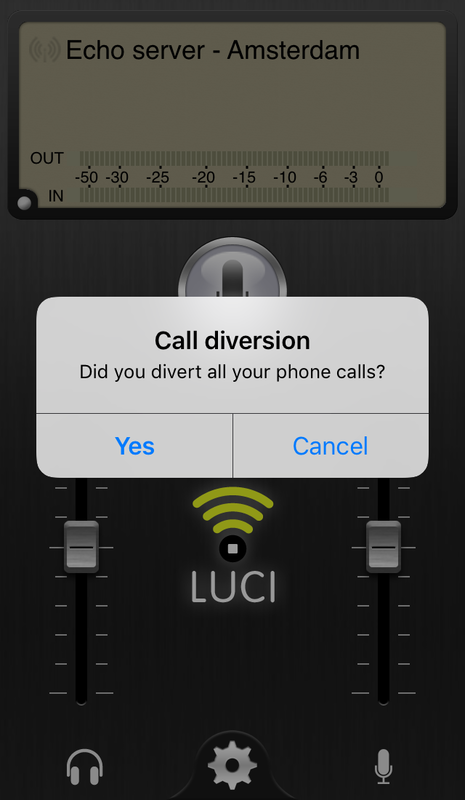 Check your iOS manual for diverting your calls so you will not be disturbed during your live broadcast.